Andrew Huszar is a former Fed official. In 2009 and 2010, he managed its $1.25 trillion mortgaged-backed security purchase program. He’s a former Morgan Stanley managing director. He’s currently a Rutgers Business School senior fellow. He’s a QE confessor. He witnessed Bernanke’s scam up close and personal. It benefits Wall Street. It ignores Main Street. Bernanke planned it that way. QE is counterproductive. It’s self-defeating. It constrains economic growth. It doesn’t create jobs. It benefits Wall Street at the expense of Main Street. It works when used constructively. Money injected responsibly into the economy creates growth. It creates jobs. When people have money they spend it. A virtuous cycle of prosperity is possible. America once was sustainably prosperous. Today it’s heading for a slow-motion train wreck. One day, it’ll “kill the patient,” he says. It’s the closest thing to “legalized bank robbery.” It robs poor Peter to benefit rich Paul. It’s recklessly out-of-control. Dallas Fed president Richard Fisher agrees with Stockman. “QE can’t go on forever because (it’ll) kill the patient,” he said. Bernanke, Yellen and other Fed governors apparently disagree. Pedal to the metal QE defines Fed policy. What can’t go on forever, won’t. The longer bad policy continues, the worse the stiff result when it ends. Baloney! Bernanke and other Fed governors lied. The Fed isn’t federal. It’s privately owned. Major banks run it. They control policy. Wall Street’s infested with criminals. Grand theft is official policy. Corporate crooks aren’t prosecuted. Money power runs America. Major Wall Street banks do most of all. They play by their own rules. They control Fed policy. Money printing madness enriches them. It does so at the expense of Main Street. On Wall Street, past is prologue. New scams follow old ones. Washington acts as facilitator. Regulators look the other way. Business as usual continues. Bernanke is Wall Street’s hired hand. So is Janet Yellen. She’ll replace him when he steps down in January. It’s part of the greatest ever wealth transfer from ordinary people to banks, other corporate favorites and rich elites. Since 2009, the world’s billionaires doubled their wealth. Their numbers grew from 1,360 in 2009 to 2,170 in 2013. Their collective $6.5 trillion wealth nearly matches China’s GDP. It’s the world’s second largest economy. Banks, super-rich elites, and other high net worth investors feasted on easy money. It’s like shooting fish in a barrel. They borrow nearly interest free. They invest for exponential returns. They do what mere mortals can’t. Some, perhaps many, get inside information. Market manipulation adds greater wealth. Yellen knows. She explained nothing. She lied on Capitol Hill. As Fed chairman next year, she promised to continue the scam. 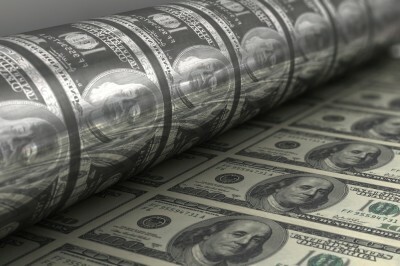 Money printing madness substitutes for stimulative growth polices. Bernanke helped engineer the greatest wealth transfer in history. America’s 1% never had it better. Banks, major corporations, big investors, and high net worth individuals alone benefitted. They did so at the expense of ordinary Americans. Unemployment, poverty, homelessness, hunger and overall human needs are at Depression era levels. Manipulative, destructive Fed policy is largely to blame. Obama and Capitol Hill share it. When finance capital prospers at the expense of ordinary people, economies are hollowed out and wrecked. Neofeudalism follows. Ordinary Americans were swindled. They lost their well-being and futures. Monied interests keep benefitting at their expense. Yellen promised more of the same. Wall Street chose her for that reason. “This was a dream job, but I hesitated,” he said. It wasn’t over “nervousness about taking on such responsibility.” Senior Fed officials assuaged him. “Demoralized, (he) returned to the private sector. Where are we today,” he asked? QE continues. “(M)inor” tapering is delayed. For over five years, Fed “bond purchases (exceeded) $4 trillion.” Another $85 billion more is bought each month. “QE (is) the largest financial-markets intervention by any government in world history.” It’s done pathetically little to stimulate growth. It wasn’t designed for that purpose. It sacrificed Main Street for Wall Street. Bernanke and other Fed governors lied claiming otherwise. They still lie. Banks tripled their stock prices since March 2009. Major ones “control more than 70% of the US bank assets. As for the rest of America, good luck,” said Huszar. Danger signs abound. Financial markets are hugely overvalued. January 2011 contained to a 20% decline because of Fed intervention. The Shiller PE (S&P 500 divided by the 10 year average of inflation adjusted earnings) exceeds 25. Prior to the 2000 dot com bubble peak, it was previously only reached three weeks before the 1929 top. The S&P price/revenue ratio is double its pre-bubble norm. So is the stock market capitalization to GDP. Ray Dalio heads Bridgewater Associates. He’s a major money manager. “The dilemma the Fed faces now is that the tools currently at its disposal are pretty much used up,” he said. Keynes was one of the 20th century’s most noted economists. In 1919, he began his career as a speculator. Is this time different? Fools rush in where angels fear to tread. Faith based investing isn’t likely to work better than earlier. People often believe anything until reality hits home hard. No one can call market tops or bottoms. No one rings a bell to announce them. Hindsight is the best insight. Caution is the best way to stay solvent. Forewarned is forearmed. It created an illusion likely to fare no better than earlier ones. Reality won’t announce itself before arriving. It bears repeating. Eventually it’ll hit home hard.